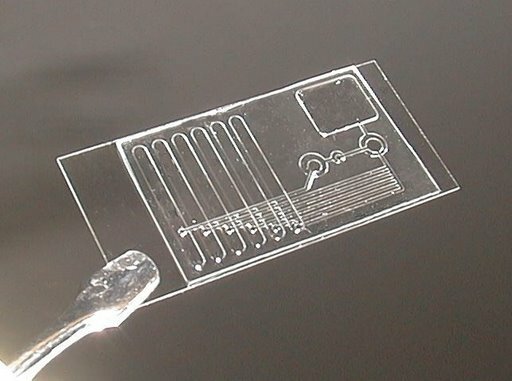 Welcome to the world of single-cell analysis using microfluidic devices! Though a relatively recent advent, these simple machines have been shown effective in allowing researchers and clinicians to perform assays impossible under earlier cell isolation devices. Enjoy! Above: Lab-on-a-chip has been a hot topic in everything from analytical chemistry to systems biology to surface chemistry for the past few years. One possible application is towards the high-throughput analysis of human cells for drug regimen design. Click on any of the links to the left to learn more about the design and use of cell isolation arrays. Site Home returns to this page, while BME240 Home returns to the database of sites prepared by other graduate students in the Department of Biomedical Engineering at UC Irvine.